Innovative duo Mt.Eden have just released genre-bending new single “Fall With You” through Ultra Records this month. Following a successful multitude of singles such as “Stronger” or “Distance Kills With”, the New Zealand producers composed of Jesse Cooper and Harley Rayner gained viral success with their remix of Freshlyground’s “I’d Like”, titled “Sierra Leone”. Now blending the genres between folk and electronic, the latest single from Mt. 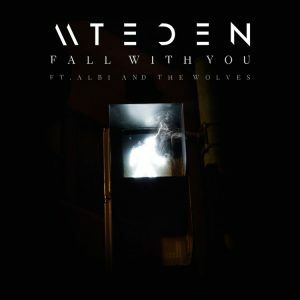 Eden duo sees them joined by Auckland hailing band Albi & The Wolves.“Fall With You” is a divine and unforgettable piece of folk electronica, with layered percussion and indie inspired vocals that sit alongside deeply personal lyrical confessions. Mt.Eden have truly broken through to a whole new realm with “Fall With You” – you can grab your copy here.